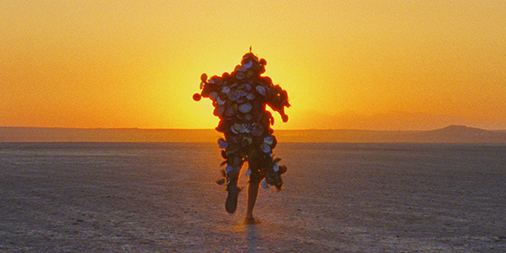 The Sky Trembles and the Earth is Afraid and the Two Eyes Are Not Brothers is a new feature film by award-winning British artist and filmmaker Ben Rivers (Two Years at Sea). At the heart of the film’s layered narratives is an adaptation of ‘A Distant Episode’, the savage short story set in Morocco by American author Paul Bowles, first published in 1947. 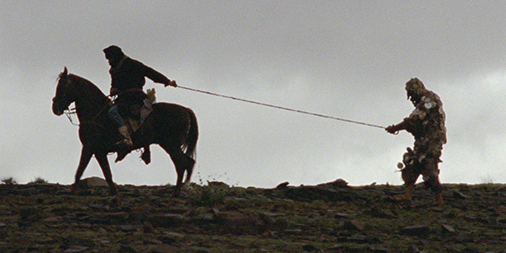 Moving between documentary, fiction and fable, The Sky Trembles… sees its protagonist, filmmaker Oliver Laxe, directing his own film in Morocco, the forthcoming Las Mimosas, before walking off set and into Rivers’ narrative. 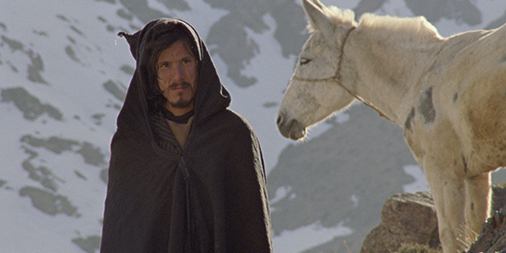 The Sky Trembles… was shot on 16mm against the staggering beauty of the Moroccan landscape, from the rugged terrain of the Atlas Mountains to the stark and surreal emptiness of the Sahara, with its encroaching sands and abandoned film sets. 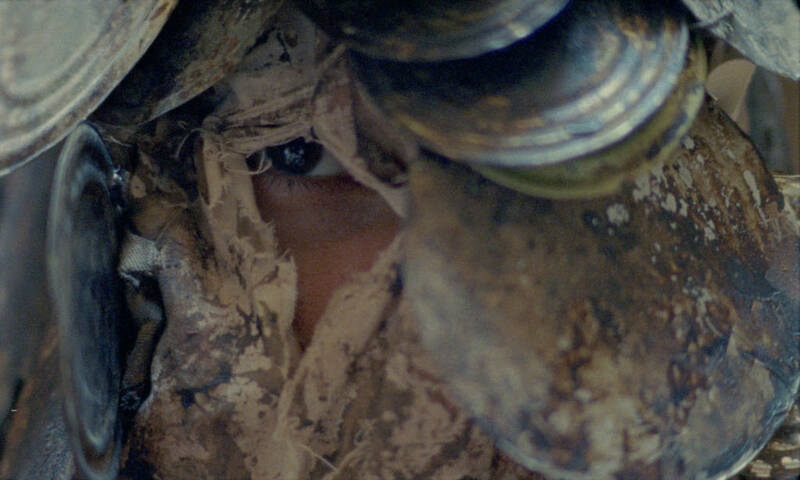 Oliver Laxe is drawn into a hallucinatory adventure of cruelty, madness and malevolence, as his narrative combines with Bowles’ story and observational footage to form a multi-layered excavation into the constructs of cinema itself. Premiered at Locarno Film Festival 2015, it has also screened at the London Film Festival, Toronto International Film Festival and the New York City International Film Festival amongst many others. This film is one part of a larger commission by Artangel. To read more about the project, click here.